As we reported, consumers often consider an engagement ring’s history when it comes to deciding how much they’re willing to pay for it. 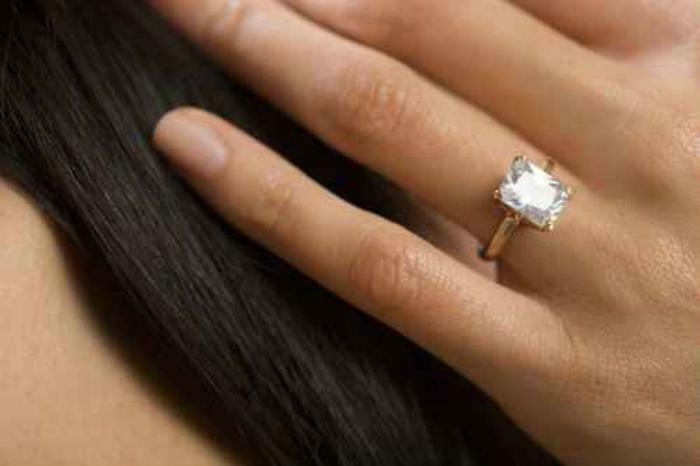 In an analysis of over 1.5 million eBay listings, researchers found that rings disclosed as the product of a divorce or failed relationship were significantly less likely to sell. To offer another perspective on this subject, we spoke with Mara Opperman, co-founder of I Do Now I Don’t -- an online marketplace where users can buy or sell secondhand wedding rings. Opperman says she sees a very different buyer reaction to used rings. “Honestly, once a client finds a ring they love on our Marketplace, they are more so excited by the opportunity to give it a second chance than they are apprehensive about its past,” says Opperman. She adds that while each transaction is different, most clients actually enjoy hearing the stories behind their rings; it adds to their feeling of excitement on the ring having found a new, loving home. More than often, says Opperman, clients enter the I Do Now I Don’t marketplace already knowing the rings are no longer being worn for one reason or another. “The specific history of a piece is often more a selling point to the client, or it’s irrelevant,” she says. Opperman also notes that the rings on I Do Now I Don’t are more in line with the values of environmentally conscious consumers. With all the consequences surrounding diamond mining, she says, many would rather purchase an item secondhand -- or “preloved” -- than purchase a brand new diamond. Most people don’t realize that the majority of diamonds sold as “new” have had a long life beforehand and are just re-cut, or re-polished and re-set before being sold in stores, she says. “Retail jewelers nationwide often visit our site to buy diamonds and rings off of our Marketplace to sell in their stores,” says Opperman. She says I Do Now I Don’t strives to break the myth that “pre-loved” engagement rings are of lesser value, monetarily or symbolically. When asked if the Marketplace is more of a seller’s market or a buyer’s market, she says that the success rate is fairly equal across the board. Sellers receive a much higher price than any other local jeweler can pay, and simultaneously, buyers can purchase fully vetted jewelry at prices well below retail. “Overall it’s a win-win situation for both the buyers and sellers,” says Opperman, adding that there is an additional benefit to sellers on the site.